Check your Inbox for the next 4 days to access your gifts listed below. The Assessment – A Unique Visual Representation of YOU – All Your Power & Pain, Strengths & Weaknesses. Ignite the ROAR-rior WithinTM Program! 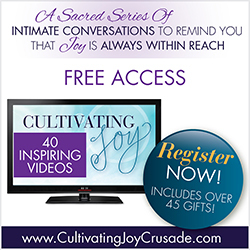 Download this content-rich gift & discover what you need to be consistently confident & authentic so you can deeply connect with the people who need you most. Experience the power & simplicity of the tools, strategies & techniques that will make you clear & strong so you can stand up & be heard! Are You Cultivating Joy or Something Else? What Happens When You Give a Procrastinator a Good Idea? Weathering the Storms In Your Business – Are You Prepared? Are You Guilty of Doing This Too? It All Started with a Fight …. Are You Making It Even Worse?